Dual Wireless Temperature Controller. The ultimate in convenience! Control your garments independently without bothersome wiring. Small, waterproof receiver stays inside garment. Works well all brands of heated clothing. Our Performance line of temperature controllers are designed to be fault tolerant. These controllers will not fail in wet weather. Being fully protected against reverse polarity, overload and short circuits, Powerlet® Performance(tm) Temperature Controllers are designed to perform under all conditions. Powerlet Performance(tm) Temperature Controllers provide industry leading warmth in extreme cold conditions. A full range of heat is achieved by designing a PC Board with minimal power loss. Powering your heated clothing from the vehicle using a quality Powerlet socket kit there is no need to recharge batteries and you will never be left riding in the cold. One Powerlet socket kit can power all of your appliances including: heated clothing, GPS, cell phones (with a convenient PAC adapter), tire inflators, etc. Keep in mind you can also maintain/charge your vehicle battery using the same Powerlet socket that is powering your heated gear. We recommend using a temperature controller with all Powerlet ProForm heated jacket liners to achieve maximum comfort. Running the liner directly connected to the bike will be to warm in all but the most extreme cold conditions. Also this controller will limit the power drawn from the bike allowing the liner to be used on both large and small bikes. 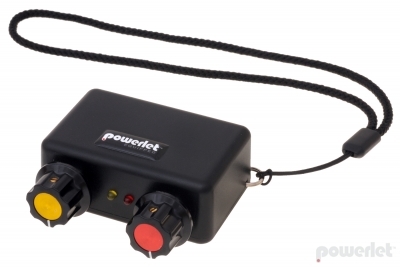 Powerlet offers the most complete, expertly engineered, heated clothing and interconnects. This enables our customers to enjoy a lifestyle utilizing convenient modern electronics. Powerlet uses the highest quality materials and craftsmanship. Our temperature controllers are developed and tested in the USA by people who like to ride.